Rates for private investigators change as much as the tasks we take on. Most are billed by the hour, with the hourly rate changing by the know-how necessary. Some assignments though are charged for the actual inquiry, or the piece of information. In the paragraphs below we try to give you an idea of how charges can be levied. Australian privacy laws are among the strictest in the world, and one of the only legal methods of collecting information nowadays is by using surveillance. This means we have an operative (or more than one) in the field collecting information by observation. It might involve following a business associate, loved one, family member or employee to see what they may be getting up to. This is charged in a very straightforward manner – by the hour. Most detective firms will charge an hourly rate PLUS gst PLUS mileage PLUS travel time to and from the job PLUS video PLUS pictures PLUS report. Integral Investigations is different in that while our hourly rate might be slightly higher than some other companies, we are ALL INCLUSIVE of the above costs. We just charge you a flat rate per hour with everything else included (some exceptions do apply). There are no expensive surprises at the end of the assignment. A ‘person location’ job is charged in a different manner. These are very difficult to charge by the hour unless we are out of the office carrying out field inquiries. The investigation rate is different in that it is a flat fee of $400 to commence a location job, and an additional $400 becomes payable when we get the answer. If we don’t get the result then you have only spent the initial fee. We have heard of some companies that charge as little as $250 to find someone….. and we find this amazing! How hard can they be working for just $250??? We know that at that price they can’t afford to check a number of fundamental databases, it just isn’t possible. So whilst you haven’t spent much, you are also a lot less likely to get the result you need. Please also consider that these rates are a guide only and we really do need to hear your individual circumstances before being able to provide a firm quote, but 80% of our ‘locates’ are done in this fashion. Background and asset checks can be difficult to cost. Typically though a background check rate starts at around $1000, and an asset check rate at around $500 depending on the levels required, but once again we really do need to assess your expectations and needs before proceeding. And then there is a huge area of investigation that we like to call ‘Unclassifiable’. Private investigation in Australia is such a small industry, but incorporates so many diverse things. Some people come to us for one small piece of material, and others need everything. Send us an inquiry if you have any requests. What you have to remember is that investigations are rarely straightforward, and we don’t always know where we will be able to collect the evidence from, or how long it may take to get it. This is by nature the definition of INVESTIGATION – we don’t have the answers in front of us waiting for you to call, we have to go and INVESTIGATE once we have an understanding of the requirements. 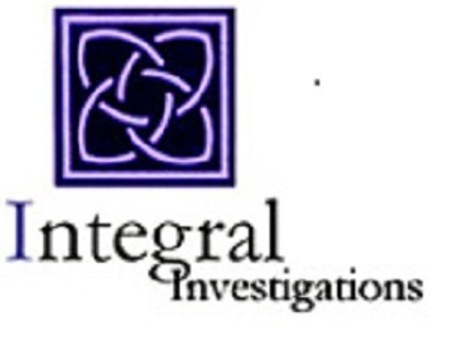 Give us a call on 0411 853 111, +61 2 9460 4988 or email us at enquiries@integralinvestigations.com.au for a free conversation of your situation, and then we can endorse the investigator rates.